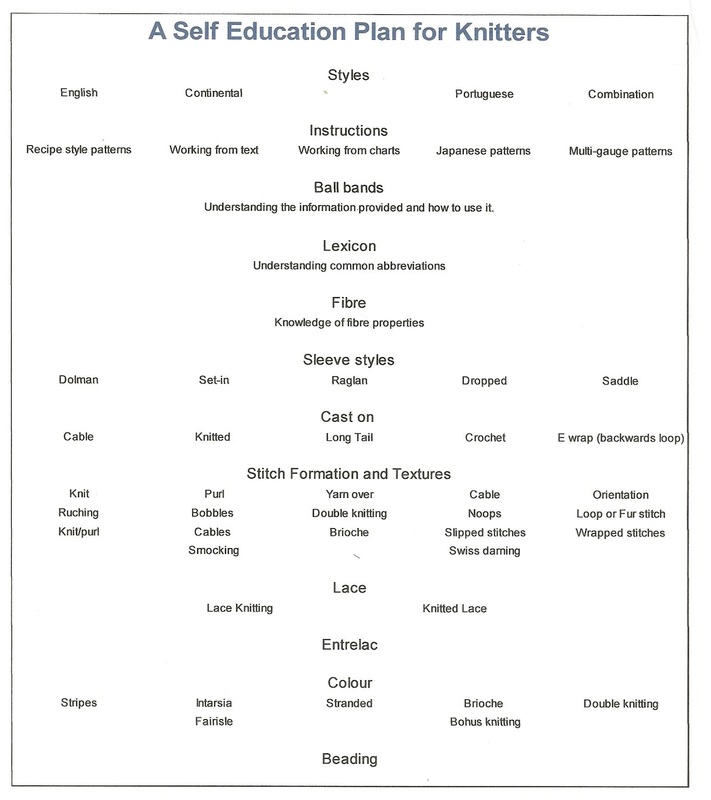 This is a follow up to my post on Formal Educations in Hand Knitting Design. It is possible to create your own study plan. 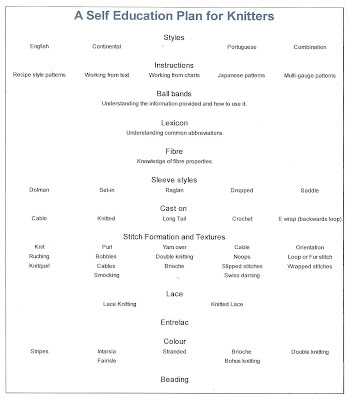 I made a point early on in my learning curve to either choose projects that required a specific skill which I did not currently have or to learn new skills on swatches. 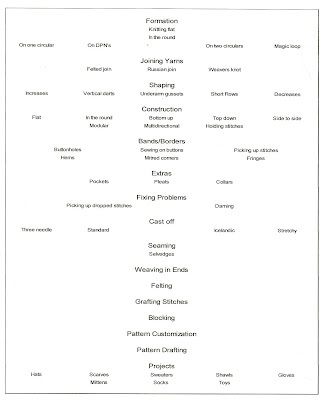 I had taken a class in couturier sewing skills that was a focused techniques based class in creating samples rather than a specific project. It was definitely the fastest route to learning in a compressed time period. 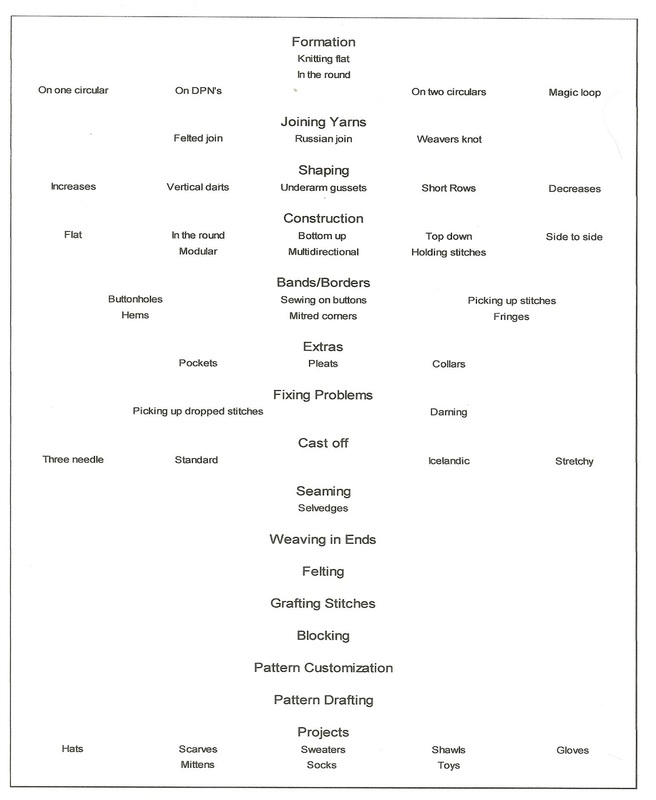 The charts below are in no way intended to list every possible skill which master knitters have but they do create a staring point if you want to expand your knowledge. Click on the charts to make them larger.